Former Dutch international midfielder Clarence Seedorf has been unveiled as Cameroon's new coach and will be joined by former teammate and countryman Patrick Kluivert, according to local reports. The duo's appointment was announced by Cameroon's Minister of Sports and Physical Education, Pierre Ismael Bidoung Mkpatt, at a press conference on Saturday and after talks with former British manager Sven-Goran Eriksson. Seedorf replaces Belgian Hugo Broos, who led the team to a surprise win in the 2017 African Cup of Nations finals, but was struck off in November after failing to secure a World Cup title. Russia. Alexandre Belinga has been acting coach since. Cameroon will defend its Nations Cup title at home next June, a first major test for the new management team. 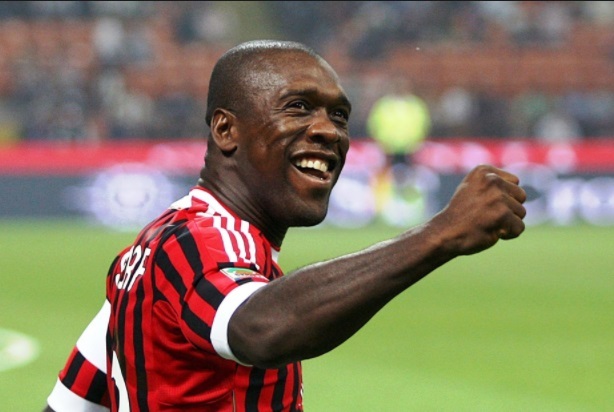 Seedorf, 42, will take his first job in the national team after a short experience with AC Milan, Chinese club Shenzhen and Deportivo La Coruna. He led these teams in a total of 52 games, but he is revered for an illustrious player career, including at Ajax Amsterdam, Real Madrid and AC Milan, winning the Champions League with each club. It was also capped 87 times by the Netherlands between 1994 and 2008. Former striker Kluivert's playing career also included Ajax, where he was the winner of the Champions League with Seedorf, Milan and especially Barcelona where he spent six seasons. He was assistant coach of the boss of the Netherlands, Louis van Gaal, between 2012 and 2014, then was briefly responsible for the Dutch Caribbean nation, Curaçao. The Cameroon Football Federation has made no official announcement about the vacant head coaching role, but coaches in Africa are regularly appointed by governments.